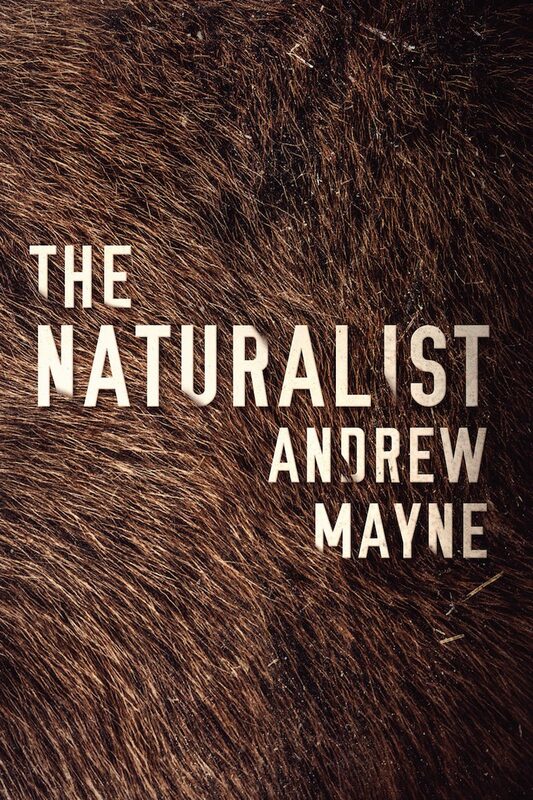 Sharon Long is here to review The Naturalist by magician, illusion designer, and filmmaker, Andrew Mayne. In 1989, a girl wakes up in the woods in a tent. Her boyfriend is nowhere to be found. She assumes he has gone to the bathroom and begins looking for him. After searching but not finding him, she returns to the tent to make a fire. While building the fire she sees a tree stump which had not been there earlier. It begins moving and casts a huge shadow over her. Suddenly, the girl is on her back, feels coarse hair and sees a flash of claws. The last thing she smells is her own blood. Next, we move to present day - Theo Cray is getting ice at the hotel when he sees flashing red and blue lights. There are several police cars and he is told to get down and stay put. The police break into his hotel room and soon after give the all clear. A deputy instructs him to go back to his room and Theo explains that is not possible. After a moment, the deputy realizes he is Dr. Cray and the man they are looking for. Theo is patted down, his hands bagged for evidence and he is put in a squad car. At headquarters, Detective Glenn questions him about his activities and samples are taken from his hands for DNA analysis. The detective has conducted internet searches on Theo and asks if he is a biologist. Theo responds he is a computational biologist and is in Montana looking for animals that change their body types. Detective Glenn asks for his professional advice and shows him several pictures of dead animals and woman. Theo organizes the pictures in piles and somehow puts the pictures from the same case together which is suspicious. One of the reasons I love Andrews books is he takes professions such as scientist, magician or astronaut and has them solve crimes and murders. I was immediately drawn into The Naturalist. Theo is an unusual character because as a scientist, he observes, analyzes, and questions. He describes himself as often not in the moment. While he lacks some of the normal human emotions, Theo is an extremely likable character. What I enjoyed most about this book was being part of Theo’s thought processes as he figures things out. The reader goes along on his search understanding how and why Theo does what he does. While the odds are always against him, Theo perseveres and does not give up. I highly recommend The Naturalist which uses science and logic to solve the mystery. Looking Glass, the second in this series, releases March 2018. I cannot wait to read what new adventures and trouble Theo Cray discovers next. Mayne has written and produced over fifty books on magic and is considered one of the most prolific magic creators of the last decade. Andrew is also the publisher of iTricks.com and the host of the Weird Things podcast, one of the top 25 Natural Science podcasts on iTunes. In addition, he is a bestselling author of the Jessica Blackwood Series, Station Breaker, and his newest series The Naturalist. He is the 5th bestselling independent author in the UK thanks to Angel Killer which is currently in development for television. The Naturalist was released on September 5th by Thomas and Mercer and is already in the top 20 most sold and read books on Amazon.